Oddmall Holiday Show is now on sale! The Emporium of the Weird returns to Everett on November 21 & 22, 2015. Booths are available now at our lowest prices ever. Booths start at just $189 for the weekend. We are also once again offering the Oddmall payment plan. $65 down reserves your booth with the balance due in two equal payments. What are you waiting for? 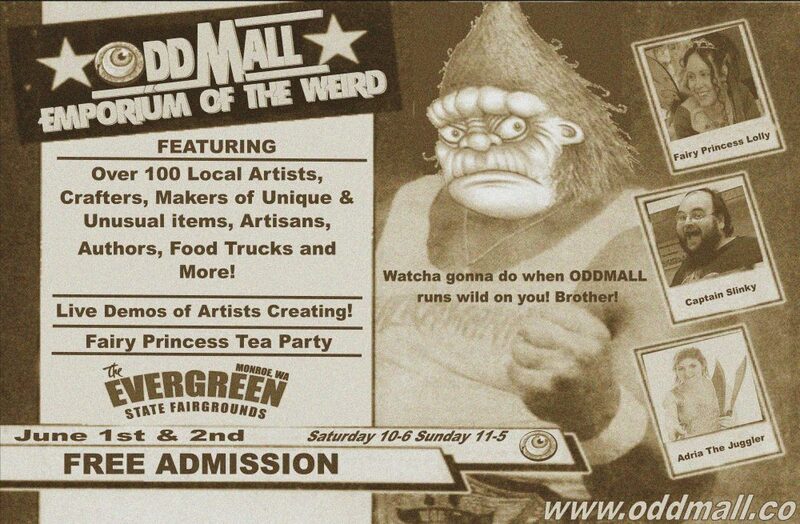 Join us at Oddmall: Emporium of the Weird! Click on the registration tab above for all of the details.